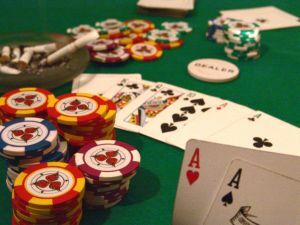 Several formulas and rules have been carefully crafted with careful consideration of the blackjack gaming rules and regulations to give a player the winning edge. Some of the techniques are tabulated in charts that give a player some simple guidelines on important strategies that can help get a higher chance at winning. For people who want to play real money blackjack, perhaps the best way to test your ability to win would be to start by playing using these charts from an online blackjack game for free. It is after perfecting this art online that you can now hit the road to a hand based casino and test the real world of blackjack. If you want to play blackjack online charts will be also necessary. The main objective of the charts is to give you an insight on how to decide at what times you should hit; stand, double down or even to split or surrender. By being able to know what the appropriate time to perform all these moves, chances are that you will end up in a favorable situation at all times. Your only let down would come from following the chart inconsistently. Given the complexity of being able to follow the rules to the latter in the course of playing blackjack, you are highly advised to rely on the chart which is even color coded so that you do not have any difficulty in translating the situation at the table. Bellow is a copy of the chart to help you in making your decisions when the dealer hits a soft 17 or when he stands on a soft 17.